The efficient Quality System has enabled the company to continuously improve its products and services to meet the ever more demanding market needs for food safety in terms of healthiness, allergens, origin, traceability and authenticity. To strengthen its position in a highly competitive market and to provide a product that never fails to meet customer requirements, the Felsineo Management considers Quality Assurance and Food Safety, Environmental issues and Occupational Health and Safety, together with the ongoing improvement of the effectiveness of management systems, key and strategic issues. The Management establishes objectives, commitments, responsibilities and assigns adequate resources to guarantee the fulfilment of the objectives. increase the operating quality of the company processes as part of a long-term plan to continuously improve quality, food safety, customer service, as well as to reduce waste. increase awareness of the organisation to guarantee the fulfilment of all legal requirements regarding the products manufactured. order raw materials that satisfy all quality requirements, carefully controlling the qualification of all suppliers. improve training and increase awareness of personnel. full respect of all regulations regarding environmental issues, food safety and occupational health and safety. improve relevant environmental management issues; reduce waste generated, cut consumption of energy and non-renewable resources, prevent undesirable impact on the environment (fire, accidental spills). prevent accidents, injury, and professional illness caused by the job activity performed, striving to limit and progressively reduce risks related to ergonomics of workplaces, noise and load handling. continuously improve the health and safety conditions of all people working for Felsineo, promoting their participation and involvement in the ongoing commitment to eliminate, prevent and reduce residual risks in the workplace. control and improve the satisfaction of the service provided to customers, supplying products conforming to their requests. assure a detailed and prompt complaint management. with transparency in internal and external communication. with utmost care and attention when dealings with customers. seeking to fully involve all interested parties. continuing to focus on producing mortadella using only natural ingredients and/or not containing genetically modified organisms. continuing to make sure all mortadellas produced are suitable for the gluten-intolerant, i.e. in gluten free diets. keeping constantly up to date on any new pathogenic microorganisms emerging (e.g. 9CFR 430 for Listeria). signed by the Management and Representative of the Management thereby making it official company policy. understood through training meetings, discussions and explanatory sessions. implemented then checked through audits. supported by measurable quality, environment, and health and safety objectives. made available to anyone requesting to see it. The Management then transforms the general objectives into specific objectives and programmes which are regularly documented and reviewed. Each Mortadella has its own history, wrapped up and traceable from the batch number. The modern management system makes it possible to trace products from source to consumer, and also in reverse order, back to the initial ingredients used in each stage of the production cycle, including cooking and cooling. Every single tiny problem and all potential causes can therefore be analysed in time, permitting constant improvement. Furthermore, thanks to the barcode system identifying every single batch of raw material entering the factory, Felsineo can safely and securely guarantee the origin of all meats used. Coherently with its Quality Policy, focused on traditional production and technological innovation, the Company has implemented a Quality System that throughout the years has been certified according to the food safety and hygiene Regulations in force. 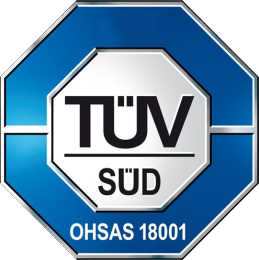 Felsineo is proud to have also achieved many voluntary certifications: UNI EN ISO 14001:2004, OHSAS 18001, IFS e BRC (GSFS). These certifications, together with the efficient monitoring of the production processes, have allowed access to markets otherwise unreachable, such as United States of America, Japan and China. The internationally recognized Standard for environmental management systems. It deals with the management of environmental aspects, with a focus on safeguarding the environment, preventing pollution and considering socioeconomic requirements. An internationally recognized standard, that sets out the requirements for occupational health and safety management best practice. The IFS (International Food Standard) and GSFS (Global Standard for Food Safety) are product certifications. They have introduced to establish Standards for supplier approval, that companies supplying large retail chains can adopt to show they have fulfilled their legal and contractual obligations and supply safe, hygienic products. Felsineo is grade A GSFS certified and higher level IFS certified.